In 2013 we saw continued consolidation in the retail insert market. As a post press equipment manufacturer, this turned out to be a great situation for us. From our point of view, 2013 could be considered “the year of the Model 124HS.” We received orders for more than 40 of these simple rugged stackers from a variety of customers. STI is a major supplier of stackers and provides the largest portfolio of stackers to cover the many types of applications seen in the printing industry. As such, Systems Technology has seen the evolution of the market over the years and has spent a lot of time looking at the best solutions in the stacking world. Historically retail inserts were handled first with Count-O-Veyors, then as speeds increased with expensive compensating stackers. These worked very well with long runs, high page counts and fast press speeds due to the fact that they automatically compensate the stacks and reduce manning requirements. 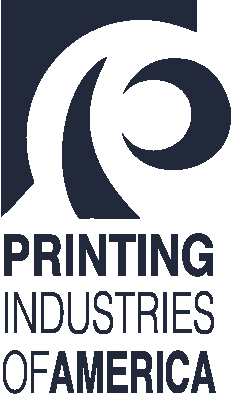 As insert page count has seen a large reduction and the need to maximize the full width potential of the press has increased, printers have begun running multiple inserts within the same press run. To accomplish this, stream deserters are typically used to deliver 2 to 3 streams of 4 & 8 page inserts, but with the cost of putting compensating stackers on four deliveries being well north of $200,000, and the additional requirement of skilled labor to make ready, a different solution was needed. Not to mention, compensating stackers typically generate greater than desired waste levels, which adds costs to a business already known to run on thin margins. In response to these challenges, Systems Technology offered a simple solution utilizing the low cost, simple-to-operate, low waste, small footprint – Model 124HS Stak-O-Veyor brick style drum stacker. These stackers work extremely well with deserted 4 & 8 page products at a fraction of the cost of compensating stackers! Entry level personnel have no problem learning and operating them. One person can handle all deliveries and since the units have a small footprint, the person in charge of stacking has improved visibility of all the stackers and can quickly and easily attend each stacker as needed. Furthermore, waste numbers have been reported to be reduced by 50% or more when switching to a Model 124HS Stak-O-Veyor. With hindsight always being 20/20, it is easy to see how this simple and dependable solution was exactly what the inserter market needed. The 124HS delivered a low cost and highly effective solution in a mature and cost sensitive market. 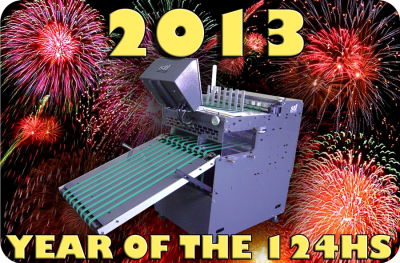 Although 2013 is over, we hope that the shift toward the updated and improved 124HS will continue through 2014 and that we will be in a position to repeat this article again next year. If you are interested in the capabilities of the Model 124HS Stak-O-Veyor and its fit in your current operation please contact us in the quick contact below, and we will be happy to answer any questions you may have.